What is the story you share with the world, and how has cancer changed it? All of us, regardless of whether we are coping with cancer or not, have an ongoing dialogue with ourselves and with the world. It’s our story. It’s the book of our lives. I always try keep my final chapter open, hoping, of course, that I won’t find the need to write it for years to come. But we start writing our story early in life, the moment we get a response from what we do and how we behave. As babies, we become aware of what made our parents smile, laugh or scold us early on. As adults, we form our daily story in much the same fashion. It’s easy to minimize our discomfort and dismay and despair. And it’s natural in my opinion to embellish the good things about our cancer as opposed to the disappointing stuff. After all, who doesn’t like to hear about positive results – especially our friends and family. The fact that we construct stories about ourselves doesn’t necessarily mean that we are misconstruing the truth or even telling ourselves lies in order to feel better. But according to University of Massachusetts psychologist Robert Feldman who has studied lying for more than a decade and reported his findings in a 2017 Huffington Post report, 60 percent of people lie during a typical conversation in order to appear more competent and likeable. But I’m not talking about lying here as much as I’m suggesting that as a cancer survivor, I often seek out the best news, and sometimes leave out that which doesn’t add something positive to my prognosis. And perhaps that’s a good thing. There probably is no easy or gentle way to break the bad news to someone newly diagnosed with cancer, but my breast cancer surgeon, a wonderfully talented and respected doctor in Hawaii, actually wrote a book for other doctors about how to share the news of an unfortunate diagnosis. There is, after all, an art to telling a good story! After my initial shock receded, I realized how brilliant her message had actually been. The words were simple, honest, to the point and well-constructed. “A little bit of bad news” left an opening for “not so bad news” and possibly some “good news.” It was personal. There was no “Mr. Barnes”. So my “story” certainly got a re-write that day. No longer the marathon runner, the lean and mean work-out machine, the outdoor adventurer – all part of my story, by the way – I was now the 60-something-year-old man with breast cancer in a decidedly lonely world. And that was the moment that I began my own re-write in order to make my cancer experience more than just a bad story. Since cancer entered my life, I’ve met many people who ask me how it was that I decided to write about it. 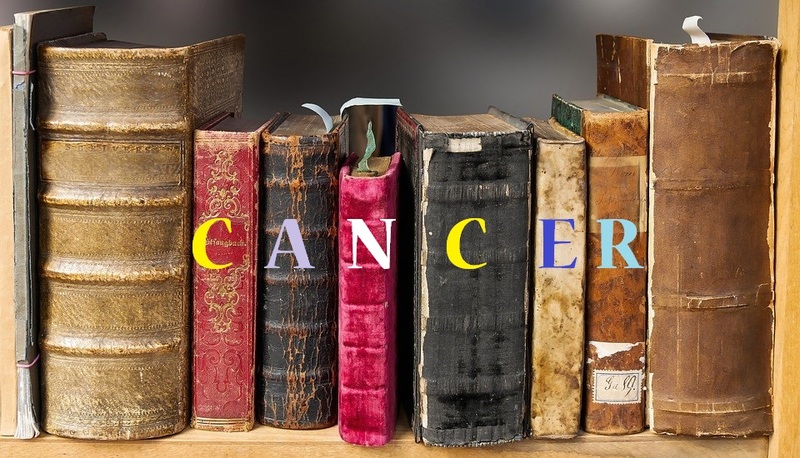 I’ve always enjoyed being a writer, with a personal preference toward fiction, but having male breast cancer is a real-life story that demands to be acknowledged and shared with others, both men and women. My purpose in sharing this experience through writing is one way to be of help to others, perhaps newly diagnosed men with breast cancer. It’s to explain that the disease exists. But more than anything, my story is a simple way to add one more voice and one more body and one more heart to the pool of men who are willing to hold up a candle to help illuminate a very dark space – that place where cancer festers. Our stories, both pre- and post-cancer, are the real deal. No bad reading, and definitely no fake news here.